Director-General Ikeda meets Vice Minister Kim Jung-Hyun and Assistant Minister Lee Sang-Mok of the Ministry of Education, Science & Technology of Korea on 27 February. 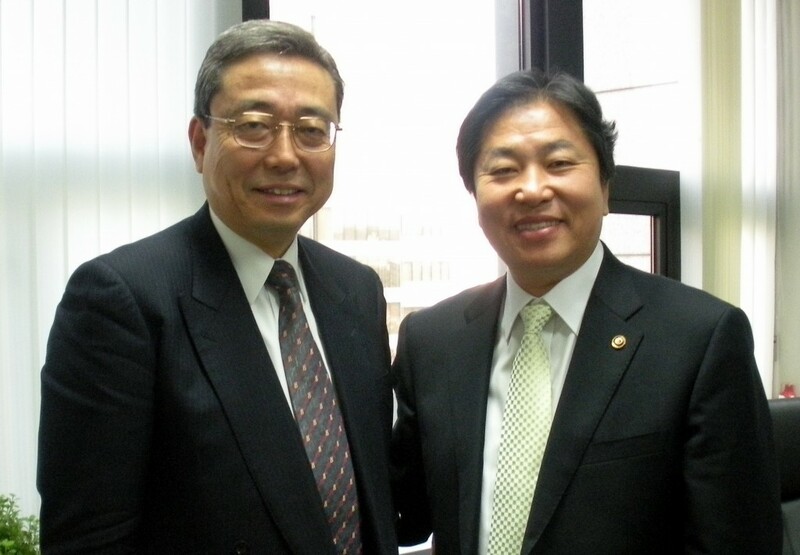 Director-General Ikeda and Korean Vice Minister Kim Jung-Hyun. Director-General Kaname Ikeda meets Vice Minister Kim Jung-Hyun and Assistant Minister Lee Sang-Mok of the Ministry of Education, Science & Technology of Korea on 27 February.